Come along to Lollipop’s Bundoora these school holidays and take part in our Build-A-Bear Workshop! 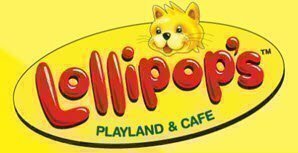 Only $25 per child includes all-day entry into Lollipop’s and a Build-A-Bear Workshop with a brand new furry friend to take home. Bring to life your very own “Lil Cub” and enjoy the full Build-A-Bear experience in our store. Each child names, creates and takes home their new best friend. Your bear will also come with their own birth certificate plus cub condo to take it home in! Book now and secure your spot. Plus of course you can stay and play all day at Lollipop’s, making it the perfect school holiday day out! Please arrive 15mins prior to event time.